I just wanted to thank you for such a magical experience. 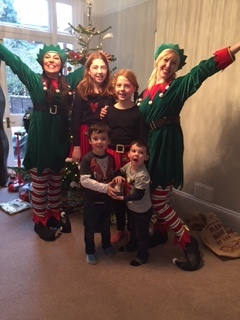 The elves were wonderful and such fun! 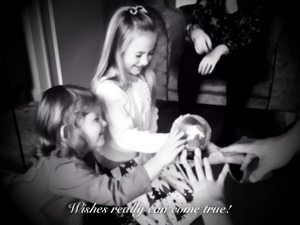 They certainly bought the magic of Christmas alive to 6 very excited children. I can’t express how truly wonderful the visit was. My niece told me it was the BEST party she has ever been to! That is some awesome feedback! Lol! As a company you have been marvellous. Booking and payment was simple and the elves are just a credit to you. 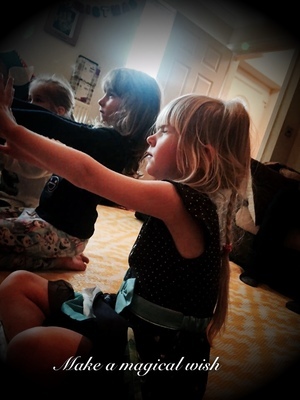 Thank you again from the bottom of my heart for bringing your Christmas cheer into our home… Roll on Dec 25th!! My boys letters from Santa made me cry and the PJ’s where fantastic. 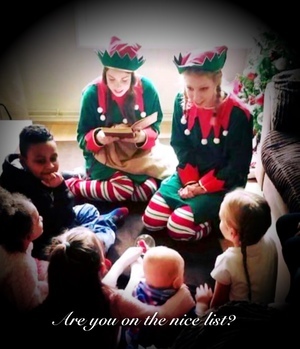 “We were so pleasantly surprised at how polished and professional the elves were. 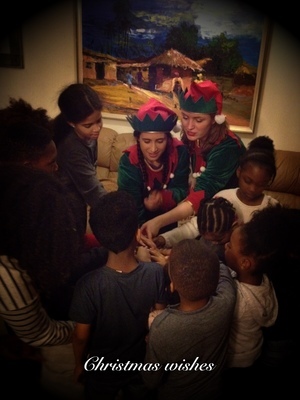 The children were blown away by your elves. We couldn’t recommend them enough. Even the older children were convinced. “Amazing service as I have 2 disabled boys and the person I spoke to was very knowledgeable and helpful throughout . I feel that this was the best amount of money I have spent. 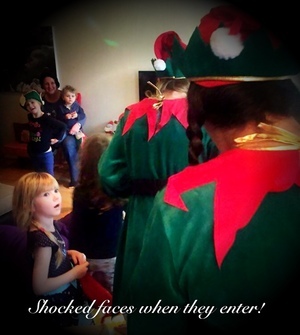 To see the boys faces when the elves came in will last with me forever as will the visit will for the boys. 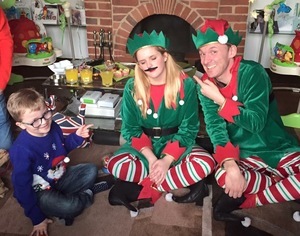 “After visiting Lapland UK last year, I was a bit worried that your elves wouldn’t be able to compete. I was wrong! My son was truly captivated. “Fantastic customer service. Emails were responded to very quickly nothing was ever a problem. As I was arranging a group the booking was back and forth but everyone was so helpful. “I can not express enough how brilliant Buddy and Pearl were! So professional, had the children engaged the whole time, thought quickly and gave answered to unexpected questions from the children! I loved the fact that the elves stayed in character right up until they got in their car, I assume they did this in case the children looked out of the window! Thank you so much for an amazing and magical experience for the children. “The naughty and nice list was the highlight. It was a moment I’ll never forget. 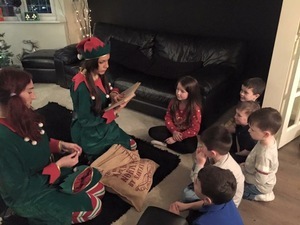 “It was a very exciting day when the elves made their visit, my daughters were dumbstruck especially my 12 year old as we are holding on to the magic as long as possible to continue her belief of Father Christmas. 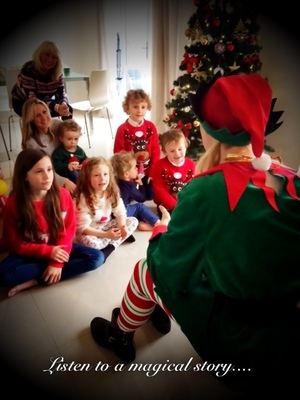 The elves were funny, happy and my girls were very well entertained. 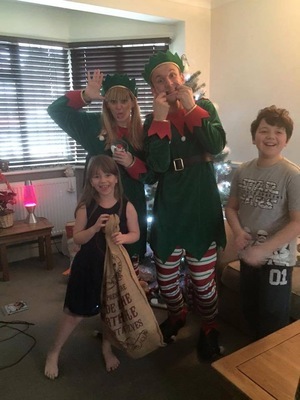 “I thought that our elves were fantastic, I did not expect it to be this good. My children absolutely loved it and I have already recommended to lots of people for next year. I would rather spend money on this than a visit to Santa. Thank you so much for coming to visit us. It was such fun and we had a fantastic time. We love our gifts and you were soooooo good and we love you.